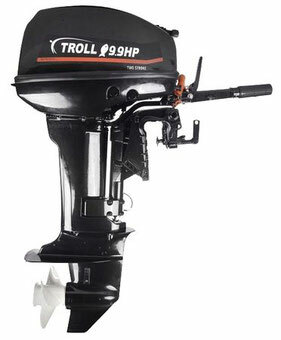 Troll outboard motors are another brand of Chinese developers. Used innovative technologies in production are focused on the experience of famous brands. Production of parts, assembly, and a range of technological checks are carried out on modern equipment. Troll emphasizes the uniqueness of the engines of its boat engines, which ensures ease of operation, safety and durability. Outboard motors Troll - one of the leaders in the market of motors for boats, known throughout the world. The company has been designing and manufacturing motors of various configurations for many years and has earned the right to be called a manufacturer of high-quality, reliable and safe equipment. Buyers from all over the world leave their reviews, calling the Troll engines their best purchase. At the same time, manufacturers are trying to create relatively inexpensive motors that anyone can afford. In the Troll product line there are several basic types of engines, which are then divided into subtypes. The main classification is based on the principle of power separation of motors. The Troll series includes several models in 2-stroke and 4-stroke versions.